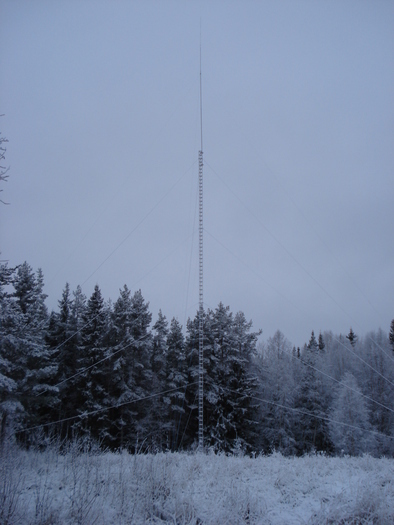 The main antenna for the 160m band is a 39m high vertical. 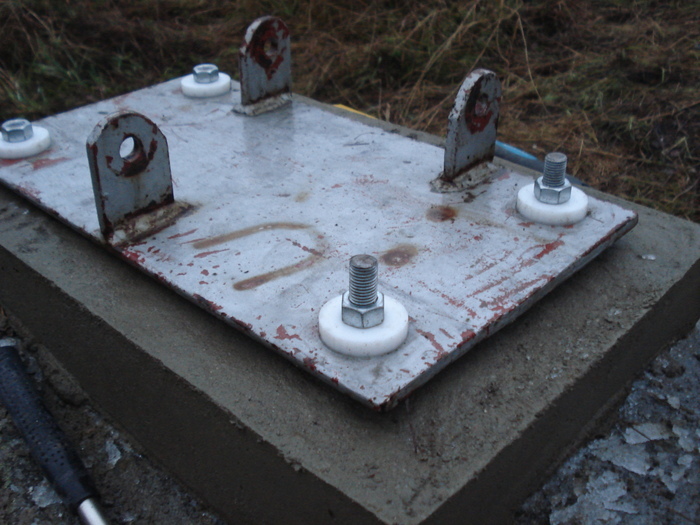 The antenna consist of 29m of WIBE tower sections with an insulated base and a top tube which is 10m long. 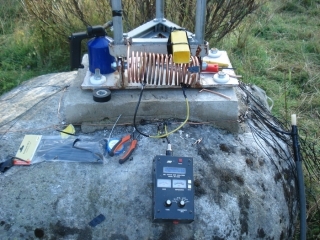 The antenna is tuned to 50 ohms through a tapped inductor which also makes the antenna DC grounded. The total length of radials are about 3km, each one alteast 1/4wl long. The coaxial cable running out to this antenna is a 170m long RG-17 which has got a metal protective coating. 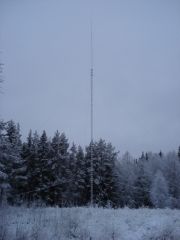 There are some plans of maybe errecting a 4-SQ for 160m around the new Moskojärvi 60m tower, as the solar cycle low gets closer.